Adam offers approved scales in a selection of capacities, readabilities and stainless steel pan sizes. Designed for easy cleanup, IP66-rated approved scales are well-suited for applications requiring washdown capabilities. Approved bench scales can weigh and count manufactured parts or pieces of candy, and can be used to measure bulk spices. Facilities that require the portability of a bench scale include hardware stores, farms and packhouses. Bench checkweighing scales are designed to handle demanding weighing, batching or parts counting tasks. Businesses with a quality control function find it helpful to use an approved checkweighing scale to ensure that a finished product sold by weight is within specified parameters. Offering high capacities and large, grade 304 stainless steel pans, Adam's floor scales are ideal for production tasks, warehouse use, and industrial operations. 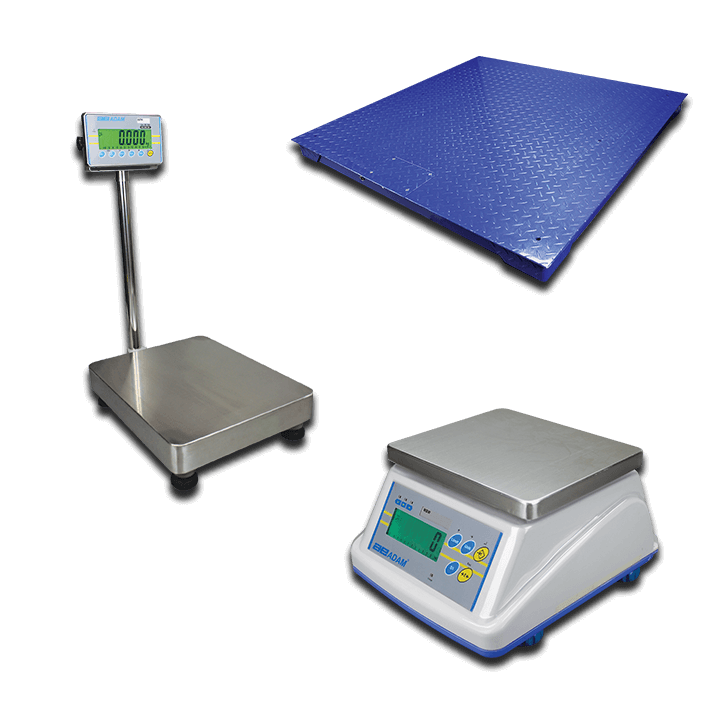 Businesses rely on floor scales to measure bulk goods purchased by wholesalers or packaged for delivery to retail stores.